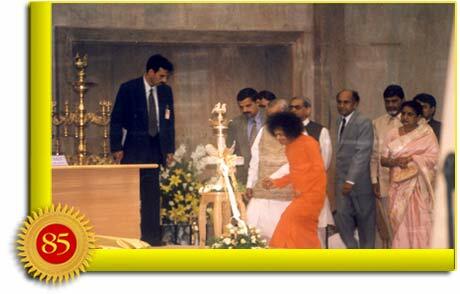 On the occasion of His 65th birthday in 1990, Bhagavan Baba ushered in a new era in the history of global healthcare with the proposal of a super specialty hospital to service the poor in the villages surrounding Puttaparthi – a hospital that would provide care at no cost to the patient; a state-of-the-art edifice that would be built from the ground up and ready for the first heart operation in one year. There were scoffers aplenty who said it couldn’t be done. Even Baba’s own staff despaired momentarily and questioned where the funds would come from to sustain such a mammoth endeavour. Undeterred, Baba said when the cause is right and when the poor are to be served with love, money comes. This is the Divine miracle. 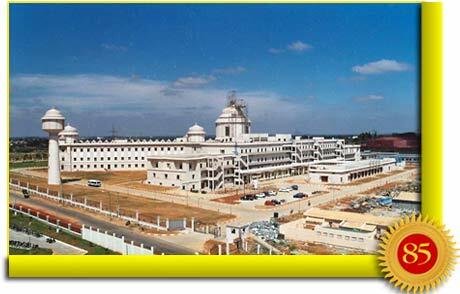 Not quite eight years after the inauguration of the super specialty hospital in Puttaparthi and several thousands successful operations later, Bhagavan announced His plans for a sequel on 28 July 1999. While speaking at the Sai Kulwant Hall, He said: “Last month when I was in Bangalore, the Chief Minister of Karnataka came to Me and said, ‘Swami, You have constructed a super specialty hospital in Puttaparthi, which is of immense benefit to the poor. But diseases are common to the rich and the downtrodden, the urban and the rural. It will be of great help to the people of Bangalore, if You would be kind enough to establish another super specialty hospital here’. “I just smiled and said nothing. The very next week, the Chief Minister, the Finance Minister, the Revenue Minister and many other dignitaries came here with documents concerning the offer of 70 acres of land situated adjacent to the Information and Technology Park. The work on the building commenced in September 1999 and was completed in October 2000. 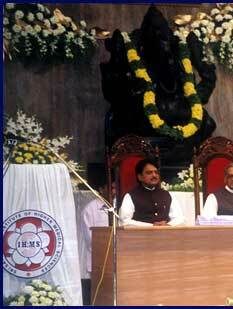 The super specialty hospital was officially commissioned on 19 January 2001. 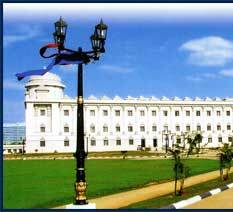 It was a reprise of the construction of the marvellous edifice in Puttaparthi: state-of-the-art and high-tech civil, structural, mechanical, electrical and instrumental works were finished with Baba’s impeccable aesthetics. All the electromechanical services that make buildings "intelligent and sound" like water, sanitary facilities, elevators, fire protection, security and surveillance systems, landscaping and horticultural works were executed according to plan. Apart from the functional aspects of the hospital, which are world-class, its incredible beauty invokes the image of a temple rather than a hospital. The central dome is 23 meters in diameter and reaches more than a 100 feet from ground level. It is an inspiring sight with the cupola supported by eight massive pillars. Stained glass widows on the sides of the dome act as skylights throwing multi-hued designs on the sandstone walls and the polished granite floor below. The ambience is designed to create a sense of awe, reverence and humility in the beholder, leading to an overwhelming sense of peace and tranquility. This is the beginning of the cure. This is the Temple of Healing. 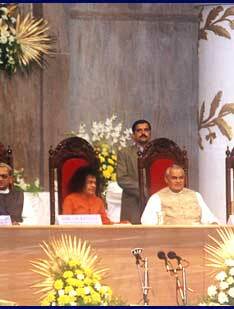 On the inauguration day, 19 January 2001, Baba said: “In life, health is the greatest wealth. Since ancient times, yogis, sages, and seers made penetrating investigations into the means to keep good health. They were of the view that man could work for the peace and security of the world only when he is in good health. “In modern times, many people are inclined to place complete faith in allopathic medicine. Others feel that Ayurvedic principles are essential. Allopathy only gives temporary relief; it does not permanently cure diseases. But Ayurveda can provide such permanent cures. “The heart is the most important part in the body. If the heart goes on strike, the body becomes lifeless. The heart pumps blood to the lungs where it gets purified and then it is supplied to all parts of the body. Each time the heart beats, it sends the blood on a journey of 12,000 miles in the body. Who has endowed the heart with such capacity? Is it the scientist, the engineer or the yogi, or any man-made machine that makes it perform such a stupendous task? No, it is the Divine Power that is the basis for all this. Man cannot accomplish even a small task without the help of the Divine. “Allopathy cannot eradicate disease-causing germs permanently. It can control them only to a certain extent for a limited period of time. There is always the risk of relapse. Although allopathy has been progressing, the number of diseases too has been increasing. 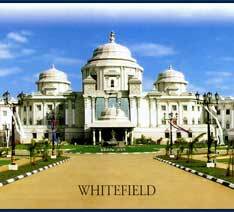 The super specialty hospitals in Puttaparthi and Whitefield began to receive patients not only from their local area, but also from distant parts of India and from around the world. Swapan Garai from West Bengal, whose treatment at the Whitefield facility gave him a new lease of life, shares his story: “I hail from Calcutta, West Bengal. My parents, younger brother and two younger sisters live in Calcutta where my father has a government job. I work in New Delhi, in a private company making bike helmets. I earn around Rs. 4,500 per month. My problem began in early January this year, when I started having bouts of severe headache and nausea. Thinking it was a minor problem I took some tablets and the symptoms disappeared for a while. However, they never really went away. “After a few days, I noticed the vision in my left eye became hazy. Slowly, but surely I started losing my sight. Only then did I begin to take my condition more seriously. At this time, I was living alone in Delhi and had not told my family anything about my problem. I went to many hospitals offering eye care, but the doctors’ findings were inconclusive. “I finally came to a government-run hospital. I cannot forget the lady doctor who by a mere examination told me I had a brain tumour. She advised me to go through an MRI scan to help confirm its existence and also plan for the treatment. The scan would cost me Rs. 4,500 - my one-month’s salary. I was the eldest in the family and both my sisters were yet to be married. Every rupee was important to me and I thought if, in a government hospital, we are required to pay such large sums of money, what use are they? “I had immense faith in Kali Ma (Goddess Kali) and believed in the universal law that good actions beget good results. In the same manner, bad actions result in adverse results. “I called up my father to inform him about my malady. By this time, my vision was down to 50% in the left eye. I then went to Calcutta and got the CT scan done, which confirmed the existence of the brain tumour. “Soon, we began searching for a hospital where I could be treated. We went to many institutions in Calcutta and New Delhi. The situation was ironic. While some government hospitals did not have the doctors or equipment for the surgery, we did not have the money to afford treatment in private hospitals. It was a tough time for us. As a family, we were devastated. We did not know where to go and whom to ask for help. We felt lost and helpless but held on to our prayers and surrendered our situation to Kali Ma, praying each day for Her Divine Mercy. “Hope was restored in our lives by a teacher in the school where my youngest sister studied. 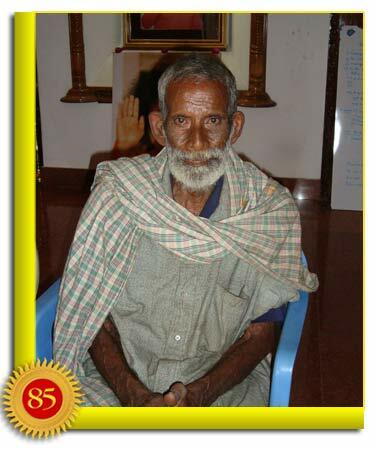 He was a sevadal member who used to regularly visit Puttaparthi to participate in volunteer service. He was also aware of Baba’s hospitals and would regularly guide patients to this unique facility. 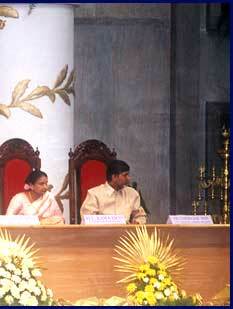 Swapan came to Bangalore with his father, younger brother and one of his sisters in May 2007. Ask him about his initial impressions of the hospital, and he says: “Words escape me if you want me to describe how I felt when I saw the hospital for the first time. To me, it looked like a palace. 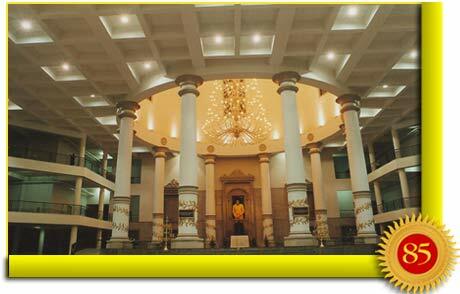 The ambience resembled that of a temple more than anything else. While running from pillar to post due to my health situation, my family and I had visited any number of hospitals, but once we entered this ‘Temple of Love,’ the peace we experienced was indescribable. “I could sense genuine concern amongst the doctors about my condition. There was obviously not a penny being charged either for the registration or for the tests and consultation. We were all completely moved. The teacher from my sister’s school was right after all, we thought, and we reprimanded ourselves for doubting his claims about Sathya Sai Baba’s Hospitals. Prof. A. S. Hegde, Director of the Sai Institute in Whitefield and Chairman of the Neurosciences Department, said that the type of tumour Swapan suffered from was the most malignant form of cancer and had the highest chances of recurrence. Post surgery follow up included referral to other centers for chemo and radiation therapies that would normally range from Rs. two lakhs to four lakhs, equivalent to around US$5,000 to US$10,000. Cutting-edge research into the treatment of this form of cancer by the doctors of the Sai Institute had been ongoing because of the many cases received. This caused the government to partner with them on a continued research project. Patient participants in the programme receive follow-up care free of charge from the private hospitals administering such care. In Swapan’s case, the tumor was found in the occipital region of the brain and was about 48 cubic cms in size, causing visual impairment. 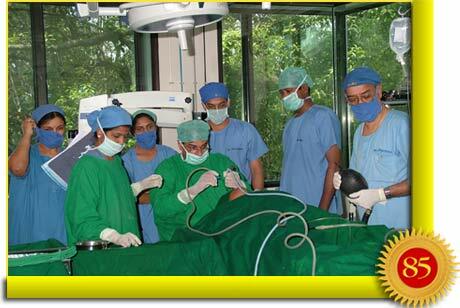 Prof. A.S. Hegde adds: “An occipital craniotomy was performed. We tried to excise the complete tumour. We were only able to partially decompress the tumour and remove 25% of it. There was substantial blood loss during this operation, and we had to plan for a second procedure. “The second surgery was successful. We were able to excise the entire tumour and the decompression was complete. The bone flap was replaced and the scalp stitched back. The first surgery lasted six hours and the second eight hours. We had to deal with a lot of blood loss, which is common in such procedures. 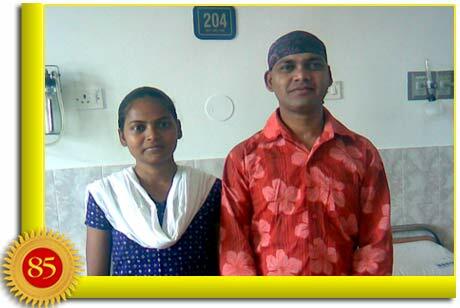 Finally, at the end of both surgeries, Swapan regained much of the vision in the affected eye. As Swapan got ready to leave the hospital, he exuded happiness, contentment and gratitude. The Merciful Divine, in His own way has seen to the treatment of the brain of one whose job is to make helmets to protect the heads and brains of others. For Govindan, a 70-year old rag picker, life was not easy. From dawn till dusk, he struggled to eke out a living by scavenging trash cans and garbage heaps, and collecting loads of waste paper that he sold for a measly sum of money. He would receive just five or ten rupees for all the hard and dirty work he did throughout the day. It was a terrible life, and it is hard to imagine it getting any worse. But, sadly, it did. One morning, Govindan discovered that for some mysterious reason, he was gradually losing his vision. Life had become unbearable, for there was no one whom he could call his own in this world. Society barely acknowledged his existence. Earning enough to keep his flesh and bone together now became an impossible task. There were days when he would just lay down on the street, hungry and weak. Often, his temperature would run high. It was as if his body had given up, but his soul was clinging on. Hardly anybody knew about him. And even if a few had seen him occasionally, they couldn’t care less. But one day, Mr. Ramamurthy, a member of Sri Sathya Sai Seva Organisation, Korukupet Centre, Chennai, spotted him on the street, helpless and terribly sick. Concerned, he went near him and enquired about his condition. He realised Govindan had cataracts in both eyes and his resultant failing vision was one of the principal reasons for his empty stomach, and the consequent pitiable illness. 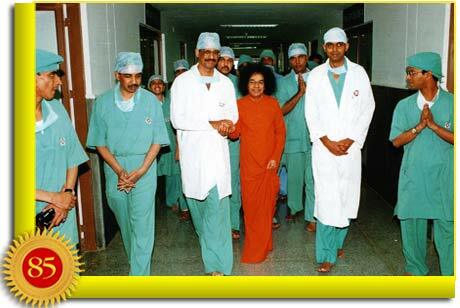 Now, what is this ‘amazing healthcare service’ - the Sri Sathya Sai Healthcare Project? 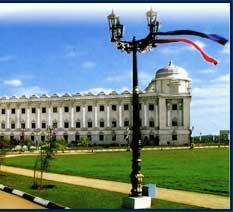 Is the Sai Super Specialty hospital in Chennai similar to the ones in Puttaparthi and Whitefield? Well, the answer is both a ‘yes’ and a ‘no’: ‘yes’ because Govindan was granted a new life in Baba’s super specialty hospital in Chennai and ‘no’ because the hospital is not the kind of massive structures that stand majestically in Puttaparthi and Whitefield. To elaborate: it was the winter of 1995. Eminent medical practitioners from India and abroad had gathered in Prashanti Nilayam for the international conference on cardio-vascular diseases. 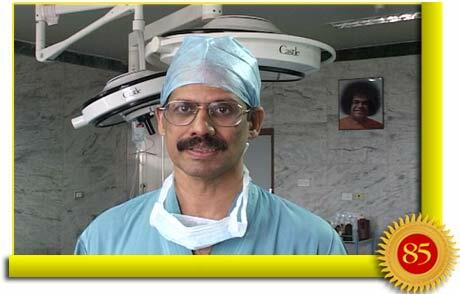 As soon as Dr. Sundararajan was back in Chennai, he went to Mr. Ramani with his new idea. 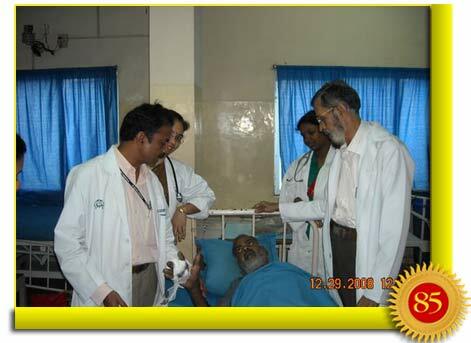 The plan was to organise a few free beds in a tertiary hospital in Chennai on a continuous basis. Mr. Ramani welcomed the idea wholeheartedly. 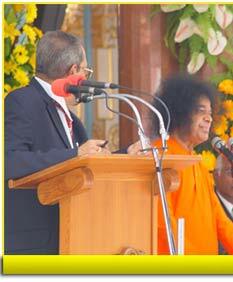 For him, it was as if Swami was speaking through this Sai doctor. Soon, they got in touch with Dr. K. Senthilnathan, the Head of Sri Devi Hospital, a pioneering multi-specialty hospital. He agreed to the proposal straight away. Thus, within a matter a few weeks, the ‘Prashanti Ward’ came into being with four beds in Sri Devi Hospital in early 1996. The desperate and down-trodden patients identified by the Sai doctors were referred to this special ward. So, while Sri Devi Hospital offered these beds free of charge, the Sai doctors as well as doctors from Sri Devi Hospitals performed the surgeries as a labour of love. 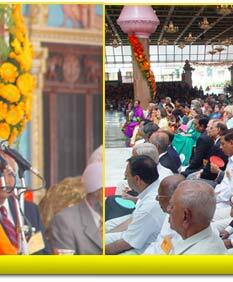 Sai volunteers looked after the travel, expenses, food and other needs of the patients. This is what is meant as a virtual Sai Hospital. 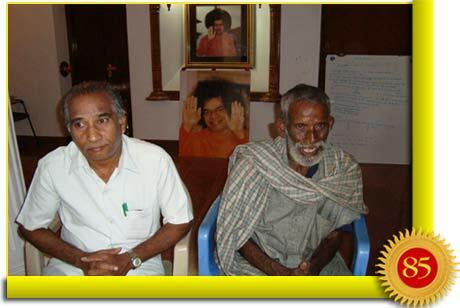 When Baba visited Chennai in 2007, the populace gathered to offer their gratitude to Him for bringing clean drinking water to the metropolis and solving the century-old water problem. 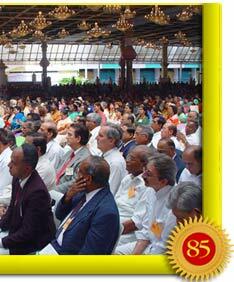 Different groups, organisations and professional societies all came to pay their respects to Bhagavan. On ‘Doctors Day’, the medical fraternity was represented by the eminent Dr. Rangabhashyam, Honorary Surgeon to the President of India. He said: “Swami, although it is late, we would like to be a part of Your grand healthcare mission, the torchbearers of which are the magnificent Super Specialty Hospitals in Puttaparthi and Whitefield. Presently, 63 medical institutions, which comprises hospitals and imaging and diagnostic centres, have come forward to treat and conduct investigations totally free of cost. “All these hospitals have offered to provide one bed completely free in the areas of their specialty, be it cardiology, neurology, nephrology, ENT, ophthalmology or any other discipline. The diagnostic services too like MRI, CT, angiogram, blood tests including blood transfusion, will be done at no cost to the patient. Currently, free treatment is delivered every single day alleviating the suffering and pain of thousands of patients. Along with Sathya Sai Super Specialty Hospitals in Puttaparthi, Whitefield, and Rajkot, and various other general hospitals, there are medical, dental, and eye camps run as the Sri Sathya Sai Village Integrated Programme across rural India and even worldwide. This silent medical renaissance initiated and inspired solely by Bhagavan Baba has been growing each day. It takes on greater responsibilities, including the latest medical research studies, seeking long term cures and treatments of diseases, while lovingly relieving the pain of the poor and the sick along the way. Combining its social responsibilities to the medical fraternity with its focus on holistic treatment, the Sathya Sai Healthcare system keeps its doors and heart open to the neglected and the downtrodden. It offers every single patient the care and treatment fit for a king.